"Antamina have been using Optimal Scheduler for over eight years. An important part of Antamina's planning process is the analysis of key value drivers, where Optimal Scheduler has played an important role in the efficient analysis of different scenarios that allow us to quantify the contributions of each component to the company's value. 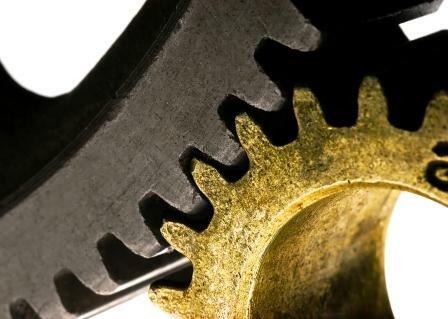 Because Optimal Scheduler allows us to setup a complete value chain model for the operation, it is easy to understand the value impact in changing any of the main components of the chain. This complemented with a good cause effect analysis, has allowed us to identify the key points where the management team should focus for efficient value creation. Optimal Scheduler is certainly a flexible and valuable tool for the whole business planning process." COMET Strategy’s flagship software Optimal Scheduler delivers advanced multi-policy schedule optimisation tools. Optimal Scheduler is used for optimising both single mine and complex combinations of surface and underground mines. Designed to model multiple ore type processing and interactions of the processing facilities, the objective of each optimisation is the maximisation of Net Present Value (NPV), taking into account changing conditions throughout project life such as economic and productivity. Optimal Scheduler is supported by experienced engineers who use the software in a diverse portfolio of strategic consulting assignments. Dr King actively mentors, advises and coaches strategic planning engineers and assists with complex solutions. Designed by a mining engineer for mining engineers, Optimal Scheduler meets the needs of operational mine-planners who rely heavily on Microsoft Excel. Optimal Scheduler leverages the existing flexibility of Microsoft Excel. Optimal Scheduler accesses a C++ based efficient dynamic programming optimisation algorithm. This clean architecture delivers flexibility and control to the user as well as the ability to utilise familiar comments, formulae, links to other spreadsheets and text formatting. The Microsoft Excel User Interface (GUI) organises the data input and report output to interface to the C++ dynamic programming optimisation algorithm. Optimal Scheduler integrates mine planning and financial analysis with robust and customisable cash-flow reporting to assist with understanding the impact of mining decisions on the NPV of the assets. Through the ability to rapidly assess a large number of scenarios and options, change prices, mine/processing capacities, costs, and constraints quickly, Optimal Scheduler gives mine planners unrivalled control. Optimal Scheduler’s scalable design has been deployed in some of the world’s largest mining operations as well as for feasibility studies and rapid acquisition analyses. The optional distributed-processing implementation of Optimal Scheduler allows users to set up networks of computers with multiple processors and run cases simultaneously and systematically. Thousands of scenarios can be run from a central controller, automatically dispatching new jobs as each case is completed. Optimal Scheduler uses a very power and extremely flexible algorithm, with the complexity requirements of major mining projects incorporated into its core design. Whether it is a single-site project, a complex project or an entire mining province, Optimal Scheduler can be customised to maximise NPV and understand the key value drivers. With Optimal Scheduler you can create as many different cut-off grades as you need, model operational constraints by phase, incorporate multiple downstream processing options and control complex blending targets. Optimal Scheduler also supports both single point grades and distribution of grades (as in Multiple Indicator Krigging and Uniform Conditioning models). With Optimal Scheduler schedule you can even tag your block model with scheduled material and show end of year 3D plans in your general mining packages. The optimisation process is automated to minimise time and bias from the manual design of different scenarios. Optimal Scheduler provides a series of reports to view the optimisation results in an Excel workbook which allows it to be easily used by other engineers and mine planning software. The Net Present Value (NPV) needs to be maximised over the entire life of the project using realistic periods. While the casual user often assumes both of these criteria, some algorithms have a ‘distorted NPV’ calculation that biases the final choice of decisions. For example, when scheduling a 30-year project, if budget analysis (or optimisation algorithm) only considers 2-5 years to make a decision, then revenue and costs outside of this period are not considered. There would be reduced incentive to strip a phase that does not have its ore mined in the 2-5 years, thus biasing all decisions in these periods. 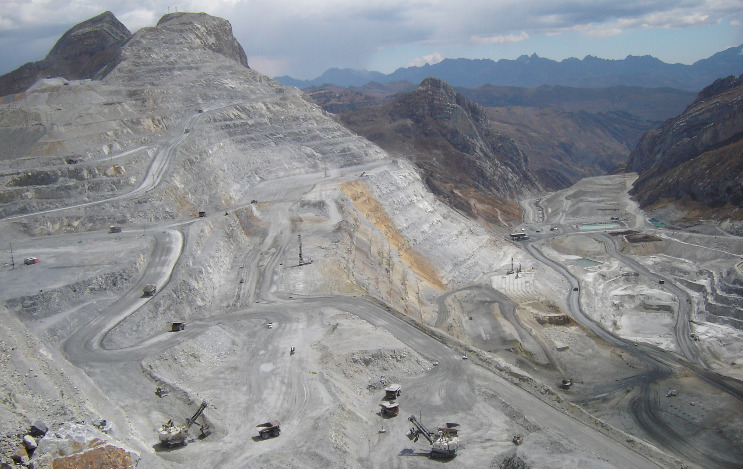 Compensating by creating artificial minimum mining ‘constraints’ creates a partly manual schedule and no longer guarantees the best NPV for the project. A similar problem occurs when algorithms combine annual periods into ‘super periods’ for the optimisation. This results in a very practical issue since the ore mined at the end of the period is considered available at any stage of this ‘super period’, unrealistically overstating the value of such a scenario. While these assumptions may be useful in restricted situations, better decisions are made when algorithms maximise NPV over the whole project life with realistic periods (Lane, 1964, 2014). Underpinning the design and functionality of Optimal Scheduler is its unique successive approximation Dynamic Programming (DP) algorithm. In contrast to the common practice of sequential optimisation, Optimal Scheduler optimises all processes simultaneously. The inter-dependency of operating policies and decisions creates a combinatorial complexity that Optimal Scheduler is uniquely capable of handling. This means that only Optimal Scheduler incorporates the capability to rapidly create a systematic matrix of options, each with varying constraints and economic parameters to produce practical operating policies and details. Rather than producing a single schedule, Optimal Scheduler produces a matrix of results to frame the optimal decision which facilitates more robust scenario analysis and decision making. 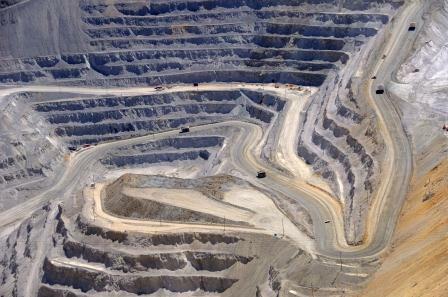 With Optimal Scheduler, the mine planner is in control of the modelling process. This means you are not crossing your fingers and hoping that you get a good schedule outcome; because you control the level of detail and with the fast optimisation algorithm, you don’t have to wait to analyse it. Recognising the need for continual customisation and adaptation, Optimal Scheduler has an innovative set of modules (or custom functions) which are effective in modelling site-specific mining and processing relationships. These modules extend the capabilities of Optimal Scheduler to accommodate step-functions in value drivers, purchase additional mining fleets, optimise dump development and many other critical modelling requirements. The modules apply complex constraints, cash flow adjustments and tailored material processing parameters which have the potential to significantly influence the mining schedule and project value. They are written in the C++ programming language and are fully integrated with Optimal Scheduler. Optimal Scheduler is set up using a wizard which through a series of guided input screens and questions, assisting the user in the building of a model. Complex processes can then be gradually added using the standard interface. Additionally, the GUI supports an integrated help feature as well as a custom toolbar/ribbon for frequently used processes. The optimisation process is automated to minimise time and bias from the manual design of different scenarios. Optimal Scheduler provides a series of reports to view the optimisation results in the Excel environment. These features allow Optimal Scheduler to be used with other mine planning software packages. Optimal Scheduler produces practical results for engineers to use in annual budgets, feasibility studies and reserve statements with the capability to interrogate the schedules and understand the details underlying the results. This provides mine planners with a high level of insight to the project, the value drivers and the relevant constraints. Optimal Scheduler produces a series of reports to control input and view the optimisation results directly in Excel. All of these features make the software easily applicable in the mining industry and supports the utilisation of databases and interfaces developed by other mine planning software. The optimisation process is automated to minimise time and bias from the evaluation of different scenarios. In the ten years since its initial development, Optimal Scheduler has been used on more than 80 of the world’s most valuable properties, and is now running in excess of 100 000 scenarios each year for projects located on six continent in countries including Australia, PNG, Philippines, Peru, Chile, Suriname, Brazil, USA, Canada, Mongolia and Namibia. Optimal Scheduler’s basic design structure and the flexibility of the user interface means that it can be applied to surface, underground and combined projects with a variety of defining attributes. For more than a decade, Optimal Scheduler has unlock value for mining engineers and consultants across a wide range of commodities, process options and mining techniques, establishing an enviable track record and strong community of practice. The distributed-processing implementation of Optimal Scheduler allows users to set up networks of computers with multiple processors and run cases simultaneously and systematically. Very large numbers of cases can be run simultaneously from a central controller, dispatching new jobs as each case is completed.